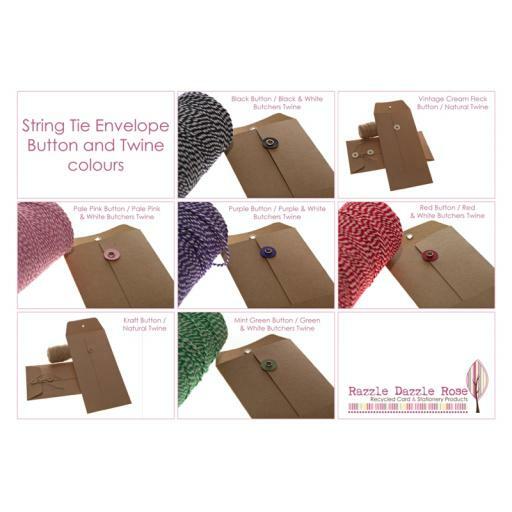 Our fabulous selection of String tie envelopes are finished at last! Made by us in our UK warehouse from our 275gm card, they are nice and sturdy, and are a perfect alternative to our paper envelopes to compliment your stationery. The envelopes will hold our C5 postcards or A4 folded greeting cards, all available in our shop printed or plain. The envelopes are supplied pre creased with eyelets already attached, and are flat ready for you to assemble. All you need to assemble the envelopes is one of our stix 2 double sides tapes, and loop your twine in a figure of 8 loop round both the buttons to close. We are now offer a makeup service for the envelopes - please choose this an additional option if required. 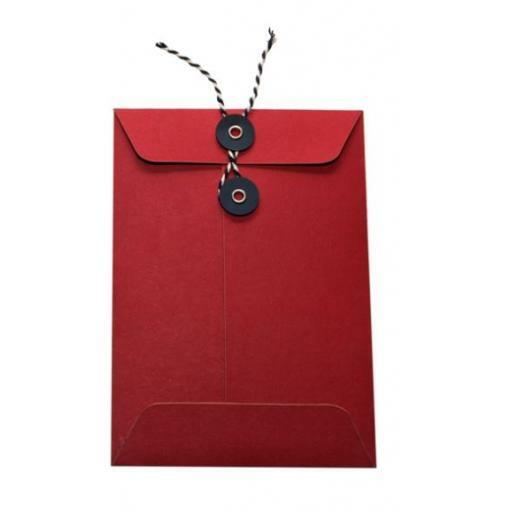 Please choose from the dropdown menus your choice of colour of buttons, envelope colour and twine option. 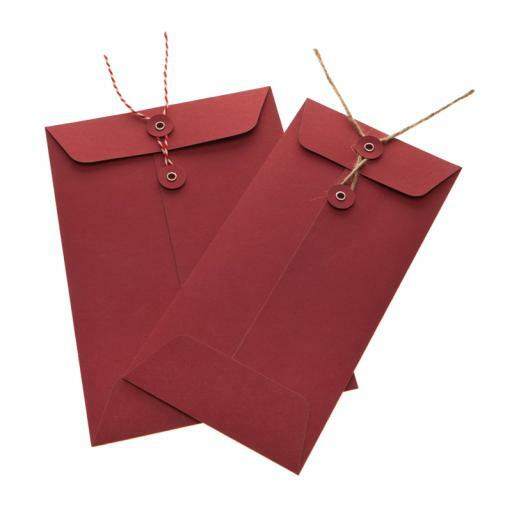 The string tie envelopes are all bespoke made to order to your chosen specification of colour envelope and colour button option. Unless they are in any way damaged in transit, or faulty, we do not accept returns on these items.